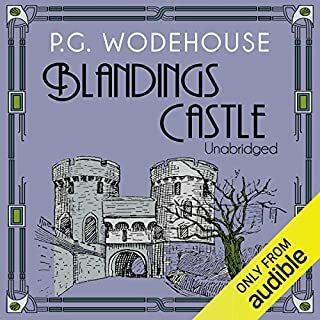 The idyll of Blandings Castle is about to be disturbed, for the Hon. Freddie Threepwood is poised to make his debut as a jewel thief. Freddie, however, is not alone: Blandings is simply brimming with criminals and impostors all intent on stealing Aunt Constance's 20,000 pound diamond necklace. It is left to the debonair Psmith, with his usual aplomb, to unscramble the passion, problems, and identities, of one and all. At Blandings Castle trouble, as is often the case, rears its bothersome head to disturb the cosy peace. 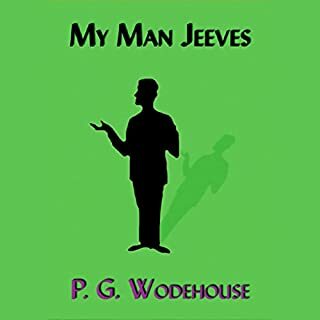 This is a collection of 12 stories for Wodehouse fans. 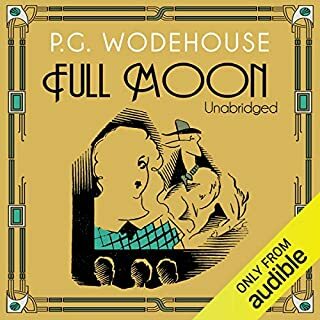 The first volume of Wodehouse's brilliant complete and unabridged short stories. Originally a semi-novel, this version contains self-contained stories which are nonetheless linked, often by Bingo Little, an endearingly hopeless chap and a serial romancer. 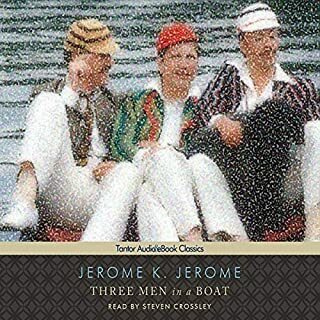 Martyrs to hypochondria and general seediness, J. and his friends George and Harris decide that a jaunt up the Thames would suit them just fine. But when they set off, they can hardly predict the troubles that lie ahead with tow-ropes, unreliable weather forecasts, and tins of pineapple chunks---not to mention the devastation left in the wake of J. 's small fox-terrier Montmorency. The only thing wrong with this is that the quality of the recording is poor. The reader does a fantastic job, but the sound is as if this were copied from a worn tape. So That's Where "Upstairs, Downstairs" Came From! Having either read or listened to a number of the Blandings Castle stories, I will always have a soft spot in my heart for Lord Emsworth and his looney family. I guess this book was probably written early in the series, before Freddie's marriage and the introduction of "The Empress". Although it contains many of the same plot elements of other Blandings sagas, there is a lot more action "below stairs" in this one which really does make it SOMETHING FRESH. Lighthearted fun filled with quirky characters in zany situations of misunderstandings, false identities, romantic entanglements and theft of a valuable object. This all plays out in the perfect setting of an English country manor. Reminiscent of the sparkling old ‘30s movies, I can imagine Robert Montgomery as the smart and cheeky Ashe Marson, and the rest of the cast filled with the best character actors of the day. Though the plot is feather-light, the writing is crisp and witty and completely entertaining. The mastery of language puts many contemporary writers to shame. I thoroughly enjoyed this selection. This is not on the list of my favorite Wodehouse. Some of the series is fantastic, this one just didn't capture me at all. 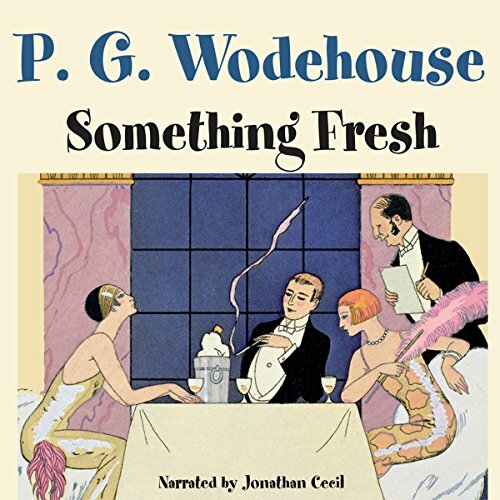 I particularly love Jonathan Cecil reading Wodehouse, I have most of his recordings of Wodehouse and also others reading Wodehouse and I think Cecil is the best by far. I love all of the Jeeves- particularly Thank you Jeeves, Carry On Jeeves and The Mating Season. Loved Damsel in Distress and Luck of the Bodkins. But Something Fresh just doesn't have "it." It's kind of crazy but it all hangs together. Excellent narration. Good for when you need some light distraction. I can't say much about this book except that it's not to be missed. It's great fun built around a sweet story of comical characters. Take a break from self-improvement, vampires, how [name here] beat drugs with Jesus and the latest anti-Obama conspiracy and give yourself a real light-hearted treat. This book is just fun and a vacation from the real world. I am a big Wodehouse fan but this is not one of his best novels. Still, it's an enjoyable story. It could have been lifted to be even better had the narrator been any good. Inexplicably, the producers went ahead with a narrator who can ONLY do funny old men voices. Thus, the young men sounded like old men, the young women sounded like old men, the Americans sounded like old British men, as did the servants, you get the idea. This was such a problem that I literally could not figure out which character was speaking during many of the scenes. I really cannot understand why the audiobook was allowed to be released in this condition. 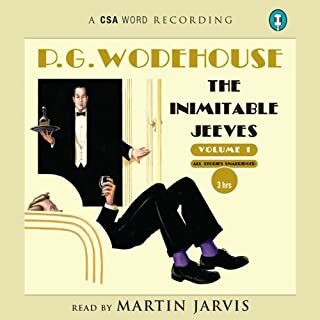 This is great listening and classic Wodehouse entertainment. I especially liked the romantic entanglements of the vintage body builder and the vintage feminist! It’s still Fresh! Unfortunately, This is not Jonathan Cecil’s finest vocal characterizations and shrewdest dynamics like you’ll find in Jeeves and the feudal spirit. Wodehouse is a great pleasure, and a generally underrated author. too often, when lists of great authors are made, the comic ones are disregarded, as if the art of writing humorously is a second-rate art. However, the command of language and turn-of-phrase that Wodehouse enjoyed is first rate. It is damned difficult to be consistently funny. And this, one of his greatest works, exemplifies this skill. 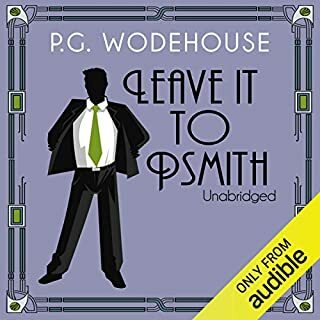 Jonathan Cecil does justice to Wodehouse, although not quite reaching the art that Simon Callow did - the latter's performances unfortunately not being available anywhere anymore. Classic Wodehouse, fantastic reader. No need to say more. Fans will enjoy this one! Highly recommended.